Rev your “buy now” button clicking finger Simi Dealers! 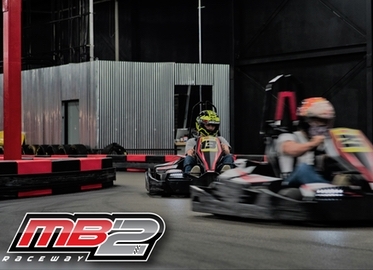 Because today we have a deal at MB2 Raceway, the premier Indoor Cart Race Track in the Conejo Valley! And now at even LOWER price! We put out deal making pedal to the metal and came up with a slick deal: get one 9 lap junior race or 14 lap adult race for $12 (value $23)! And yes you may purchase one certificate for each racer in your home family, work “family” (this is a great team building experience! ), or group! Great Spring Break activity!